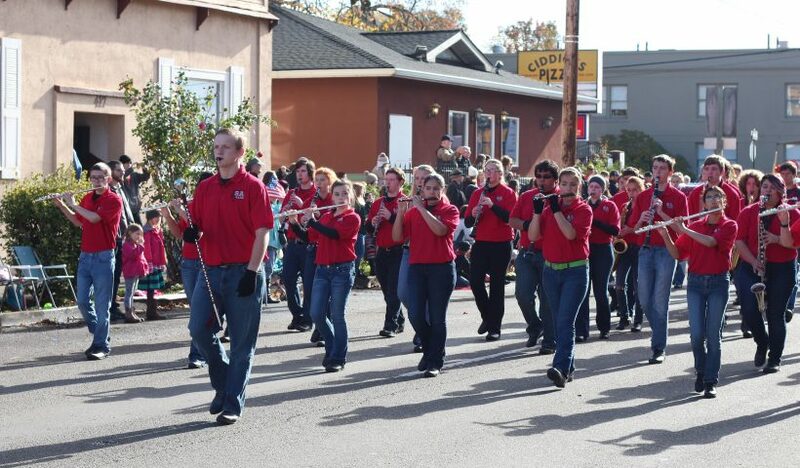 Students from many GAPS schools will participate in the Veterans Day parade on Friday. Watch for them as they help honor veterans in our community. Calapooia Middle School: Band and Parent Teacher Student Assn. Clover Ridge Elementary School: Students will march with the school banner. Liberty Elementary School: Students will march with the Liberty banner. Memorial Middle School: 45 band students will play, five choir students will carry the flag. North Albany Elementary School: Not participating in the parade, but students made placemats to honor veterans who visit Applebee’s Restaurant. Timber Ridge School: Students will march with the school banner. It is an honor to be marching in this year’s Junior Rose Parade. We would like to thank our principal Jon Dilbone, Assistant Principal Leo Huot, Choir teacher LeAnn Wind, the many supportive teachers, staff and parents at North Albany, and the great community of Albany for valuing our music program and supporting it fully. The band marching today is our advanced “Varsity Band” as well as a few intermediate “Cadet Band” members. Our music program also includes jazz band, fifth grade elementary band, beginning band, and three choirs. In addition, North Albany Middle School hosts a middleschool jazz festival each January. The NAMS music department also puts on a full scale musical production in addition to many community performances and concerts. 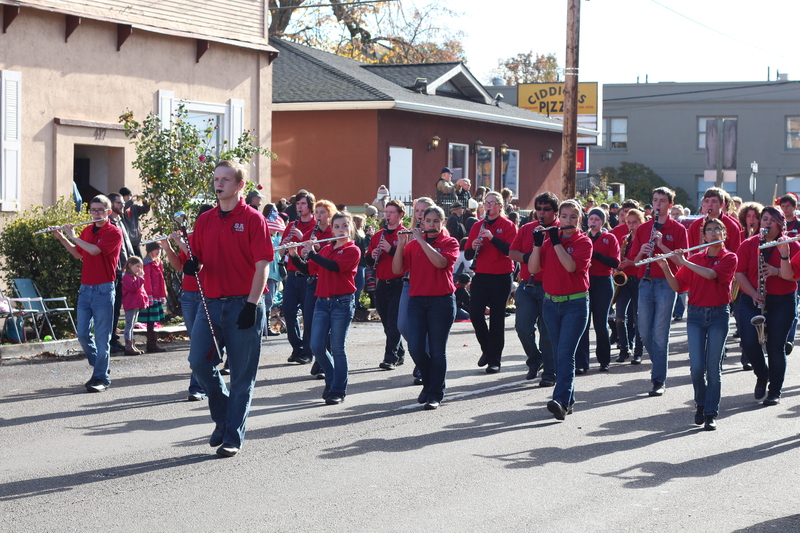 The NAMS Bands consistently score top honors at area parades and numerous band festivals year after year. Our musical selections today include George Cohan’s You’re A Grand Old Flag and John Philip Sousa’s Stars and Stripes Forever. We sincerely hope you enjoy this patriotic medley, our salute to our country. Enjoy the North Albany Middle School Marching Band directed by Andy Nelson!